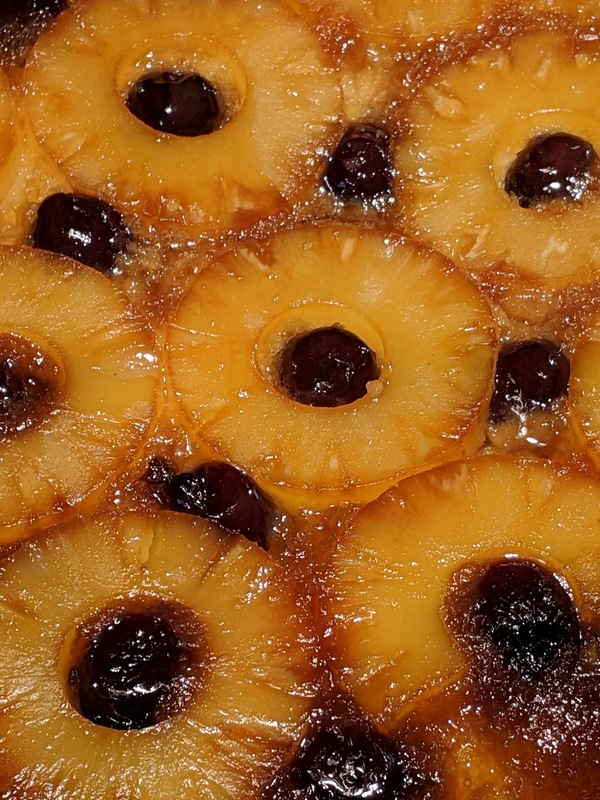 A friend was coming over today and I got it in my head to make a pineapple upside-down cake. I've never made one before, in all this time! I remember my mother making one once or twice, back when I was a kid. It feels very retro to me. It was very easy. To be fair, it would have been easier if I used a cake mix, but I wanted to make it from scratch and this recipe fit the bill. It's a separated sponge cake and that was definitely fun to make. I even made sweetened whipped cream to serve with it. Mmm. So I'm making a note of this because I definitely want to keep this recipe link! Side note: I used my homemade maraschino cherries. Even better!